Local cuisine breakfasts are available daily from 7:30 AM to 9:30 AM for a fee. Make yourself at home in one of the 8 air-conditioned rooms featuring refrigerators and flat-screen televisions. Rooms have private balconies. Complimentary wireless Internet access keeps you connected, and cable programming is available for your entertainment. Bathrooms have showers and complimentary toiletries. Enjoy a range of recreational amenities, including an outdoor pool, a lazy river, and a fitness center. This hotel also features complimentary wireless Internet access and tour/ticket assistance. Satisfy your appetite for lunch or dinner at Krua Season, a restaurant which specializes in international cuisine, or stay in and take advantage of the room service (during limited hours). Quench your thirst with your favorite drink at the bar/lounge. English breakfasts are available daily from 7 AM to noon for a fee. With a stay at Golden Triangle Palace in Chiang Rai, you'll be 3 mi (4.8 km) from Singha Park and 6.4 mi (10.4 km) from Wat Rong Khun. 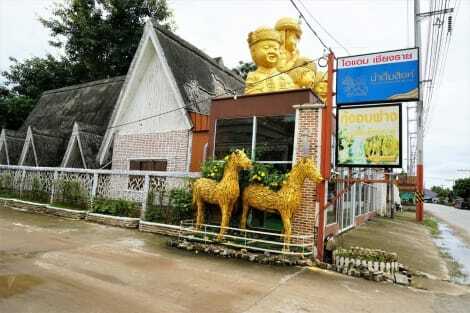 This hotel is 9.7 mi (15.6 km) from Chiang Rai Clock Tower and 11.5 mi (18.5 km) from Central Plaza Chiangrai. Make yourself at home in one of the 8 air-conditioned rooms featuring refrigerators and minibars. Flat-screen televisions with cable programming provide entertainment, while complimentary wireless Internet access keeps you connected. Private bathrooms have complimentary toiletries and hair dryers. Conveniences include coffee/tea makers and complimentary bottled water, and housekeeping is provided daily. When you stay at Ban Chomna Resort in Chiang Rai, you'll be on the Strip, within a 10-minute drive of Singha Park and Wat Rong Khun. 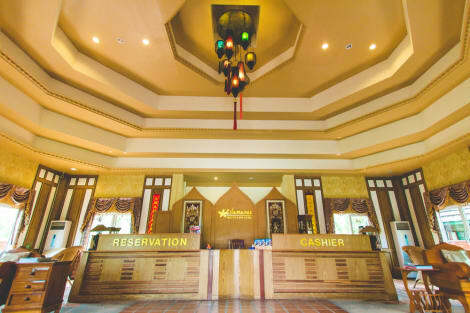 This resort is 11.9 mi (19.1 km) from Chiang Rai Rajabhat University and 6.1 mi (9.8 km) from Chiang Rai Clock Tower. 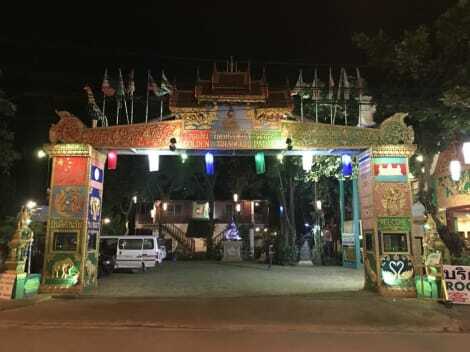 lastminute.com has a fantastic range of hotels in Chiang Rai, with everything from cheap hotels to luxurious five star accommodation available. 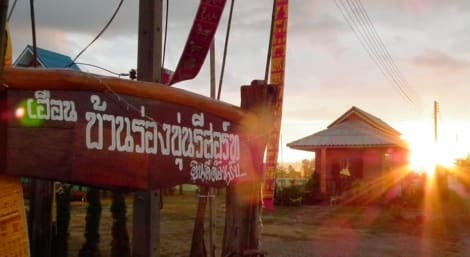 We like to live up to our last minute name so remember you can book any one of our excellent Chiang Rai hotels up until midnight and stay the same night.